Dogs are happier when they can just be dogs! The Uptown Hound provides the best care for your loved one while you are away. Our philosophy is, dogs are happier when they can just be dogs! At The Uptown Hound each of our guests are provided a suite for them “to put their paws up, roll over and relax! Our facility is climate controlled. We even have special flooring that heats up and cools down depending on the temperature. This feature, along with our dream pipe bedding is sure to make your loved one feel right at home. Our facility is located on 50 beautiful acres allowing your furry family member to enjoy things like: Swimming at Hound Lake, Hiking on Prairie Dog Trails, or simply relaxing under the shad trees after a day of ball play. These are just a few of many activities your loved one can enjoy while vacationing at The Uptown Hound! Our specialized Canine Concierge service will connect your fur-baby with an assigned Canine Care Specialist, but it also connects you to your loved one providing the peace of mind that your fur-baby is having a “howl’n good time” during their vacation at The Uptown Hound! 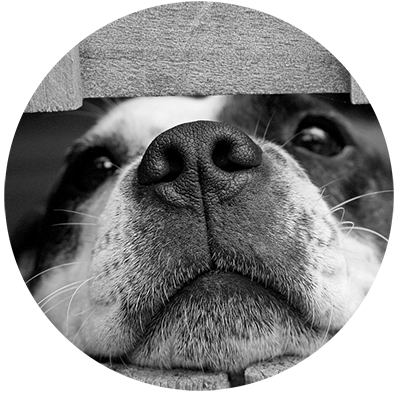 Dogs with special behavioral or health needs will also benefit from our very personalized service. The price for this service is $10.00 per day. The CCS does come complementary with our Paw-Inclusive package. Come see what all the Barks are about! We invite you to schedule an appointment to come by and visit with us to see our lovely facility. During your visit, we will be happy to answer any of your questions, show you around, introduce you to the staff and give you and your furry-family member a warm welcome to paradise! We will also be glad to provide you with a list of references of guests who have experienced all the amenities, lodging, and Day-camp The Uptown Hound offers. Give us a bark today to find out more. Our team of managers are dedicated to making sure your pet’s vacation at The Uptown Hound is PAW-tastic! We are excited to uphold our company standards of care to oversee that your furry-family is given top-tier care and ensure excellence! The Uptown Hound Pack Mates take great pride in providing outstanding, exceptional care for your family member while you are away.